Mr. Michael Pesin and Dr. Imre Gyuk of the U.S. Dept. of Energy’s Office of Electricity discuss the current and evolving state of research and implementation in energy storage technologies, including environmental and safety considerations. From a manufacturer’s perspective, Mr. Eric Gallant of GS Battery presents a case study of energy storage installations, emphasizing energy storage in terms of its impact on people’s lives, as well as changes in such related areas as evolving codes and standards. The goal of the ESS program is to develop advanced energy storage technologies and systems, in collaboration with industry, academia, and government institutions that will increase the reliability, performance, and competitiveness of electricity generation and transmission in the electric grid and in standalone systems. ESS has been instrumental in the research & development of energy storage technologies and applications since the 1970s, especially as storage relates to electric utilities, renewables, and grid security. Learn More about energy storage and our role within it. The DOE Energy Storage Systems Program (DOE OE/ESSP) is part of the Office of Electricity. Dr. Imre Gyuk, U.S. Dept. of Energy, presenting an overview of the 2014 DOE OE Strategic Plan on Energy Storage Safety. After earning a bachelors’ degree from Fordham University, Dr. Gyuk performed graduate work at Brown University on superconductivity. Receiving a Ph.D. in theoretical physics from Purdue University, he became a research associate at Syracuse University. As an assistant professor, he taught physics, civil engineering, and environmental architecture at the University of Wisconsin. His research interests included the theory of elementary particles, metallurgy of non-stoichiometric alloys, non-linear groundwater flow, and architectural design using renewable energy and passive solar techniques. Dr. Gyuk became an associate professor in the Dept. of Physics at Kuwait University, where he became interested in issues of sustainability. Dr. Gyuk joined the Dept. of Energy to manage the Thermal and Physical Storage program. He later managed DOE’s research on biological effects of electric and magnetic fields. For the past decade, he has directed the Energy Storage research program, which funds work on such technologies as advanced batteries, flywheels, super-capacitors, and compressed air energy storage. He also supervises the $185M stimulus funding for Grid Scale Energy Storage Demonstrations, developing a portfolio of field-tested storage technologies. Dr. Babu Chalamala is Manager of the Energy Storage Technology and Systems Department at Sandia National Laboratories. Prior to joining Sandia in August 2015, he was a Corporate Fellow at SunEdison (formerly MEMC Electronic Materials) for five years, where he led R&D and product development in grid scale energy storage. Before that, he founded two startup companies commercializing large format lithium batteries and digital x-ray sources. Earlier, as a research staff member at Motorola, Research Triangle Institute, and Texas Instruments, he made contribution to the development of electronic materials and device technologies. He received his B.Tech degree in Electronics and Communications Engineering from Sri Venkateswara University and his PhD degree in Physics from the University of North Texas. He is a Fellow of the IEEE and Academy of Sciences St Louis, a Life Member of the Electrochemical Society, and a Member of the Materials Research Society. As chair of the IEEE Photonics Society Technical Committee on Displays, he was instrumental in launching the IEEE/OSA Journal of Display Technology. He has been an active member of the Materials Research Society for twenty years and served as General Chair of the 2006 MRS Fall Meeting. 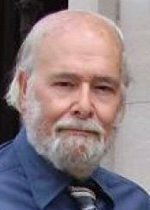 He was a guest editor of the MRS Bulletin, Proceedings of the IEEE, and the IEEE Journal on Selected Topics in Quantum Electronics, and served on the editorial boards of the Proceedings of the IEEE and IEEE Access. He received the 2015 James Eads Award of the Academy of Sciences St Louis. Dr. Vincent Sprenkle, Pacific Northwestern National Laboratory, highlighting key challenges and gaps in the current codes, standards, and regulations that impact energy storage safety. 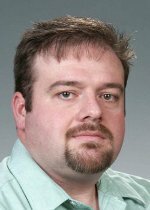 Dr. Sprenkle joined PNNL in 2001 and is currently technical group manager for the Electrochemical Materials and Systems Group at PNNL, focusing on the development of electrochemical materials and systems for advanced energy storage and conversion applications. He is also project manager for the Dept. of Energy’s Office of Electricity Energy Storage Program at PNNL, focusing on the development of electrochemical energy storage technologies to enable renewable integration and improve grid support. He previously led projects in developing solid oxide fuel cell technology and planar Na batteries. Before joining PNNL, he was a senior ceramic engineer at Litton Life Support and was responsible for the development of prototype advanced electrochemical oxygen-generating system. Dr. Sprenkle currently holds 14 patents on fuel cells, batteries, and high-temperature electrochemical devices with 17 current patent applications. Dr. Mark A. Buckner is Senior Research Scientist at the Oak Ridge National Laboratory and the Leader of the Power and Energy System Group (P&ES). Dr. Buckner has more than 25 years of experience specializing in signal processing, machine learning and computational intelligence and prior to becoming the P&ES group leader he was director of ORNL’s Cognitive Radio Program. 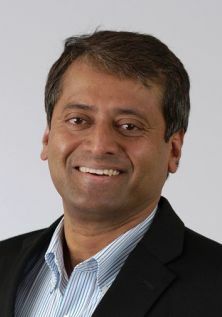 He is champion and principle investigator of (1) a Continuous Data-Driven Model Development Framework for the grid; (2) Grid-SEER: Grid Self-Aware Elastic Extensible Resiliency, an FPGA-based high-performance grid simulator; (3) DELPHI: Distributed Enterprise-Level cyber-PHysical Intelligence, an internal R&D effort focusing on enhancing grid resiliency and cyber-physical situational awareness; (4) bio-inspired approaches to transduction, signal processing, learning and cognition; (5) novel machine learning approaches for “signals mining”; and (6) software-defined instrumentation and cognitive control for secure, resilient, energy delivery systems. He has served on the DoD RFID Technical Advisory Working Group, AIM Global RFID Experts Group, ANSI/INCITS T6 and T20 Working Groups, multiple IEEE 1451 Smart Transducer Working Groups, the National Research Council’s Committee on Universal Radio Frequency Systems for Special Operations Forces, IEEE ICC 2012 Cognitive Radio Networks Technical Program Committee, and Session Chair of Spectrum Access-I IEEE ICC 2012 Cognitive Radio Networks. 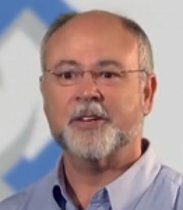 He is currently Secretary of IEEE P2030.7 Standard for the Specification of Microgrid Controller, a member of National Instruments Group of Elite Educations, the Oak Ridge STEM Leadership Committee, Chairman of TNFIRST Team Development Committee, and Lead Mentor of FIRST Robotics Team 4265 Secret City Wildbots. Dr. Buckner holds a BA in physics and psychology from Carson-Newman College and an MS and PhD in nuclear engineering/applied artificial intelligence from the University of Tennessee, Knoxville.